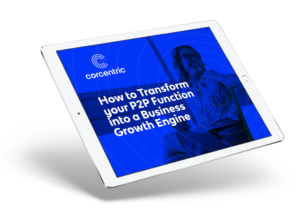 The end of the P2P process is obviously payment, but if you haven’t transitioned to electronic payments, you’re leaving a lot on the table. There have been articles, blogs, e-books, presentations ad nauseum regarding the inefficiencies and excess cost of retaining paper within your transaction processes, from POs to invoices to checks. Many companies have taken this to heart, transforming AP by implementing e-invoicing platforms. That is a move in the right direction, but it only goes part of the way towards successful automation of the P2P continuum. 95% of businesses surveyed by IOFM still issue paper checks to some of their suppliers. 65% of businesses pay their suppliers “mainly with checks” according to the Remittance Coalition. 24% of businesses surveyed by IOFM make over 75% of their payments via check. The cost of using paper checks goes well beyond the time needed to process and mail the check and the cost of postage. Those are the costs you can actually calculate. With paper checks, you lack visibility into whether or not the check has actually been deposited into the supplier’s bank, putting you at a disadvantage when it comes to having a real-time view into your cash flow position. A holistic payables solution gives you visibility, flexibility, and agility. CFOs and other finance professionals devote more of their energies to managing spend and gaining greater control over cash flow and working capital in today’s competitive business environment. In order to optimize both cash flow and working capital it is essential to deploy a full end-to-end solution that encompasses purchase order requisition, purchase order approval workflows, automated invoice matching, straight-through invoice processing, dashboard reporting, payments, and integration with back-end systems. Deploying an end-to-end solution that includes a robust payables component gives you full real-time visibility into every aspect of the transaction, including when the payment has been concluded. But digitizing and automating your payables provides more than just payment and cash flow status. This visibility also provides data necessary for accurate reporting and auditing, assessment of contract compliance, and management over spend and liquidity. From a purely practical standpoint, automating your payables costs less and accelerates workflow. But there’s another stakeholder to consider, the supplier. A robust solution also includes a supplier portal where suppliers can see the status of their invoice and the payment of that invoice. The flexibility will still be there to allow for paper checks for those suppliers who request them, but encouraging them to accept electronic payments will also enhance their cash flow and working capital by removing any of the delays inherent in paper and manual processes. This can lead to better working relationships between buyer and seller and results in a win-win for both. Download the white paper to discover the full benefits of deploying an e-payables solution.